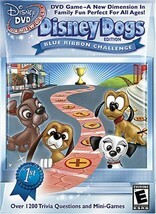 Travel inside the world of Disney's favorite dogs as pups in the DVD game that transforms the traditional board game into an amazing entertainment experience that's 100% pure digital fun. Whether you're a young pup or a seasoned purebred, you can compete to win the prestigious Pup Cup and all the barking rights that go with it. 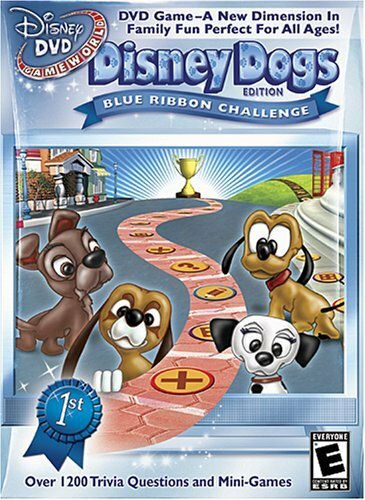 Featuring immersive, 3-D environments from your favorite Disney dog movies, as well as hundreds of trivia questions and on-screen brain teasers, DISNEY DOG EDITION is the ultimate game for dog lovers and Disney fans everywhere. Plus, there are no game pieces to lose -- everything you need is on the DVD. Your remote controls your destiny. DVD and case in excellent used condition. Buy more from us and save on shipping. First class shipping!